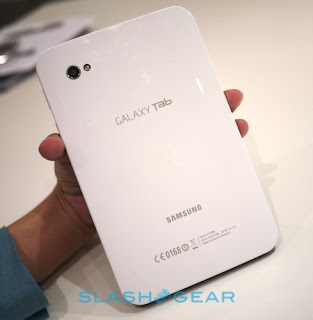 Finally Samsung has developed an Android based 7" tablet called Galaxy Tab. It's smaller than the Ipad and comes with a USB port and front-rear cameras. Hmmmm i might just get it and pass my Ipad to my kids! Check out a picture of the Galaxy Tab and the original link here from Slashgear.com.